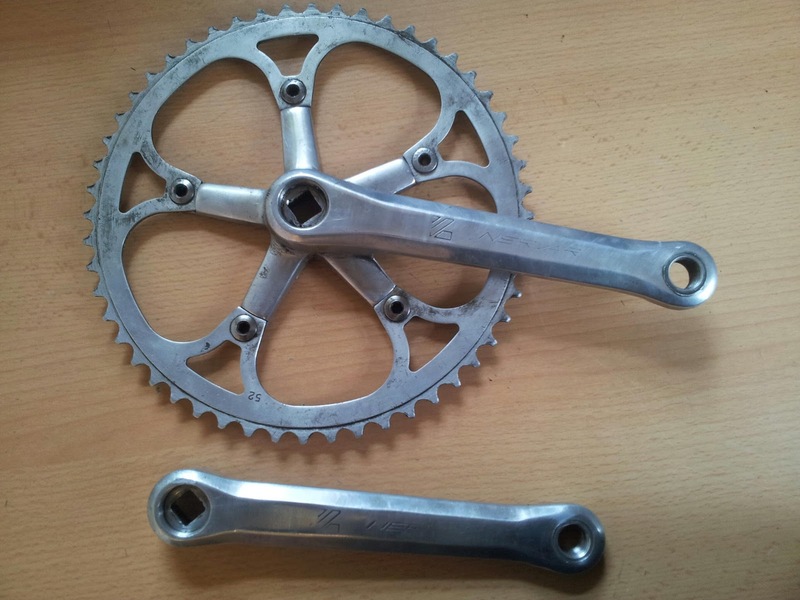 I've just replaced the crankset on my singlespeed and the Nervar that I've just taken off owes me nowt so I'm happy for it to go to a new home for nowt. 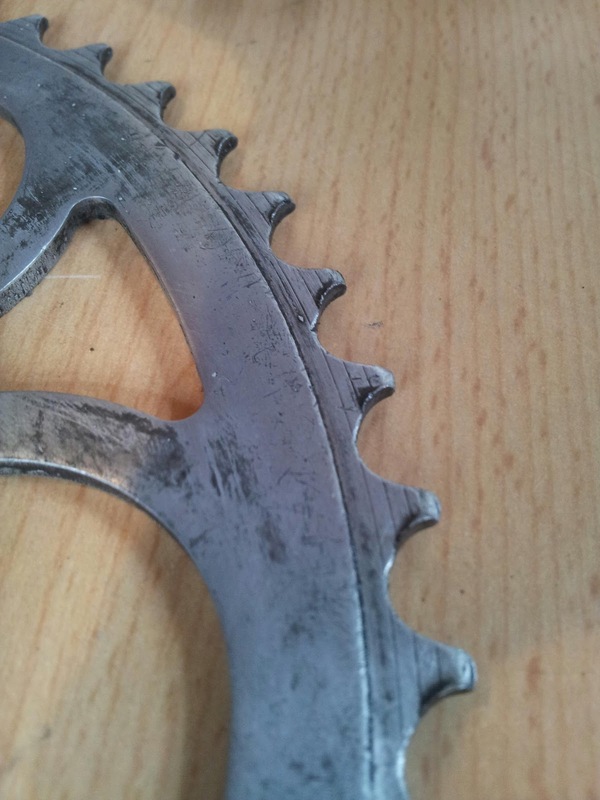 Be aware that it is quite worn, and Nervar is an obsolete chainring type, but if you've got nothing or are building a project bike then this will at least get you rolling. 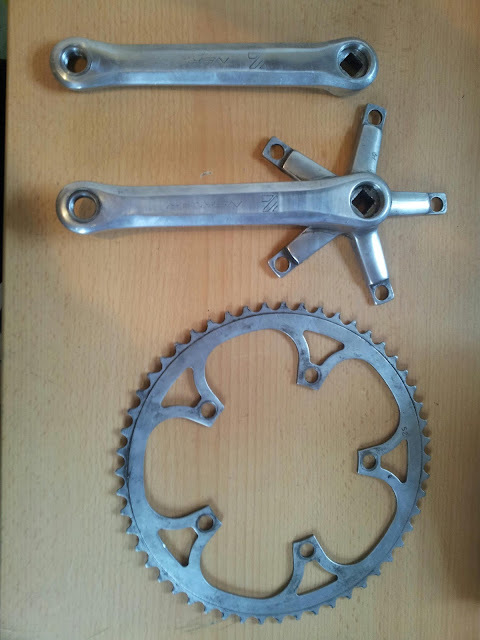 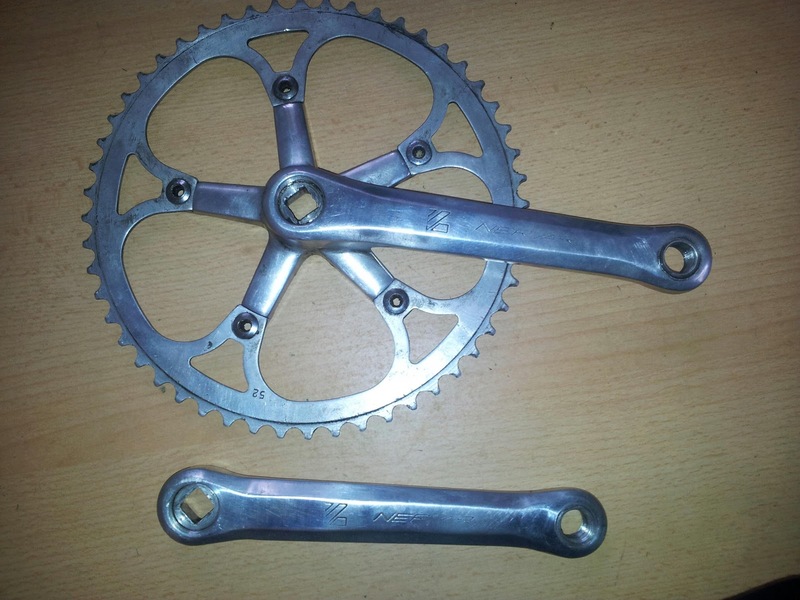 This crankset is not natively singlespeed but has been made singlespeed by having the smaller ring removed and shorter chainring bolts added, which is a fairly standard conversion. 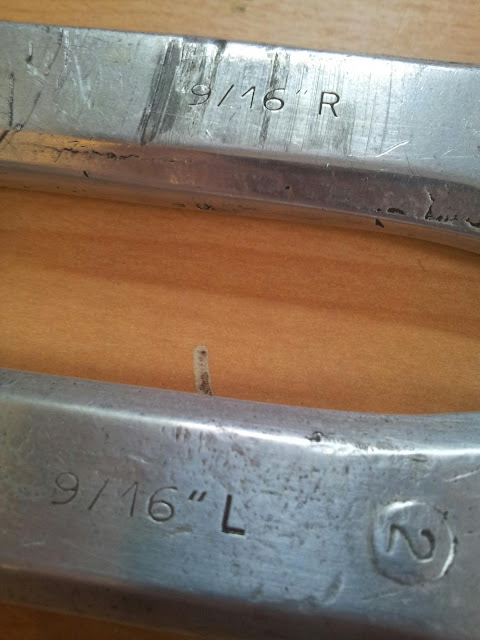 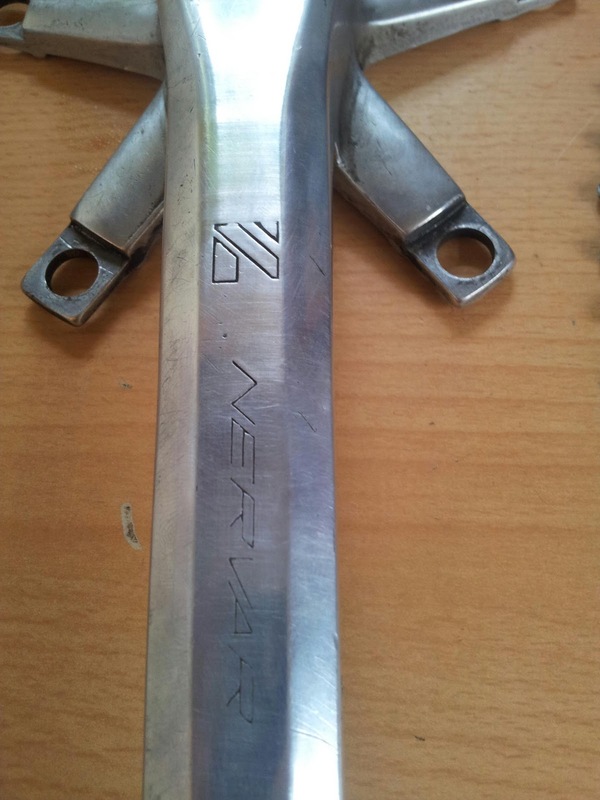 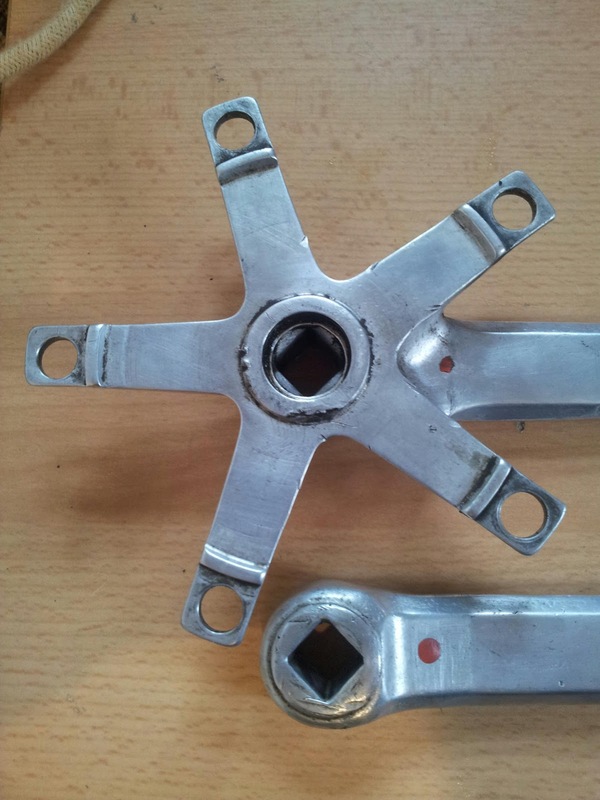 For square taper Shimano type bottom bracket.